The business environments are dealing with new challenges every day. Such issues as economic uncertainty, growth targets, operational efficiencies, increasing competition and lack of talent are being addressed within the organisation on regular basis. Workplaces are no more just an operational need for the functioning of an organisation, but are being increasingly looked at as a direct contributor to the business growth in many ways. 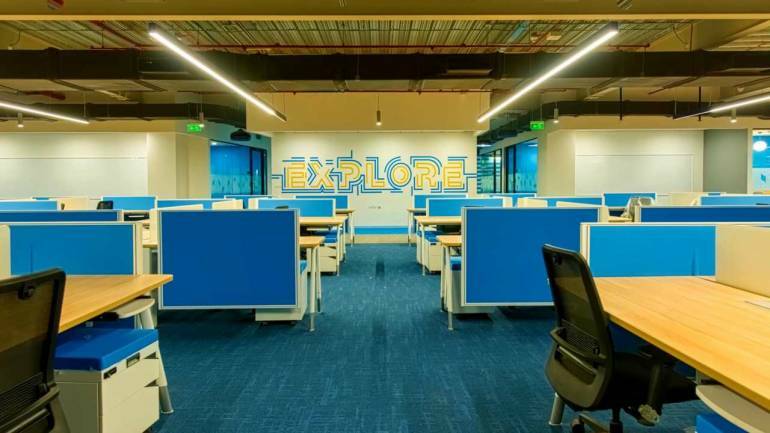 Companies understand that the workspaces are a business tool and reflect the core values, through the placement of different teams and functions, and design elements that reinforce culture, brand and values, etc. Most of us witnessed and recall the boom in the real estate sector in India in the early 2000s, mostly attributed to multi-national technology giants, bursting into the country for cheaper talent pools, combined with cheaper infrastructure and operational expenses. Gradually, the grade of real estate development has scaled to emulate global standards, with an increased cost of infrastructure. The soaring population and improving educational infrastructure, nevertheless continue to provide cost-effective workforce needs, however, organisations also have to continuously look at newer ways to leap over the cost hedges raised by the real estate. Therefore, workplace design is the key to keep real estate costs relevant for the organization. Over the years, the organizations have transitioned from completely closed offices ‘the cabin culture’, consuming almost 160-175 sq ft per person, to partly open offices, wherein cabins were restricted to top brass only (with overall efficiency of 100 – 115 sq ft per person), and now gradually following the suite, towards open offices in the name of open non-hierarchical work environment (80-95 sq ft per person). The BPO industry and co-working concept have broken all the barriers, requiring 50-65 sq ft per person. Clearly, the number game has become the basic premise and underlying factor of the workplace design for any office. The softer issues for workplace design have evolved from simply providing focus work areas, with a functional ancillary infrastructure to the workspaces for the millennials, providing a collaborative, communal and convivial work environment, thus keeping the staff engaged and productive. The focus on the openness and collaboration has been growing constantly and is visible through an increase of informal seating spaces in offices, lowering or disappearing partitions between workstations while some offices offering poofs and bean bags as work desks. Collaboration has gained a significant identity and given birth to the newest kid on the block- Co-working spaces, which are ready to change the dynamics of the commercial space from the root, but the increasing focus towards collaboration is also becoming a cause for concern in some cases. Agile space remains a constant theme, with the adoption of activity-based working. A workplace design that provides people with a choice of settings for a variety of workplace activities and acknowledging people working in numerous ways, that are necessary to increase productivity. Multi-purpose spaces that can easily transform from informal meeting and formal workstations to hot desks or recreational zones provide work-life balance and wellness in the workplace without putting additional load on the real estate budget for organizations. While the advancement of technology gave the real estate a big boost, the sector itself is returning the favour by incorporating new technologies in the built environment. Adjusting lights, occupancy sensing variable air-conditioning, halogen screens, wireless streaming and remote charging are some of the technologies integrated in the workplaces. While there are new evolving concepts available in the workplace design realm, it needs a deeper understanding to identify business needs. Traditionally, the inception point of a workplace design has been the CFOs table and the brief shared with the designer has been limited to the number of employees to be housed in the space. After decades of reactively evolving workspace design principles and spaces, a proactive approach has sprouted, known as workplace strategy or alternate workplace study. Many leading real estate consulting organizations work with clients to study user profiles, usage patterns, demographics, business needs among many other parameters for 4 to 6 weeks across locations and business functions to arrive and develop the workplace that fits the business. These professionals work with various strata of the business to develop, implement and manage the strategy that transforms work, transmutes workspace, and transcends employee experience, backed by an implementation and communication plan. This fundamentally does not impose an ongoing design trend developed for the work environment, but custom-fit the requirement brief for the architect or interior designer. Thus far, this new evolved methodology has added value to the workplaces for various organizations.